• Vegans of Nevada and ethical gambling tourists will rejoice now that there are "dozens of vegan dining options ...available at Wynn Las Vegas and Encore Las Vegas, two resorts operated by mogul Steve Wynn, who recently decreed that every restaurant at his Vegas properties would provide several vegan choices. That includes, yes, even the lowly buffet, which now has a vegan dessert section," according to AOL News. 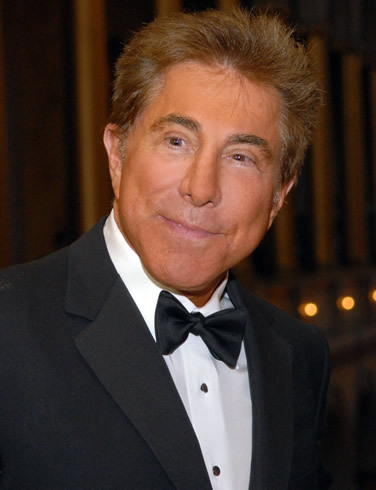 The 68-year-old casino mogul is rumored to have gone vegan recently. Read the full story here. • Chrissie Hynde of The Pretenders is set to launch a line of clothing called Fairground Luck, featuring "leather" jackets, skinny jeans, and cowboy boots - all totally vegan, according to WWD. The line is a collaboration with her recording partner, JP Jones, a Welsh singer - and this leads me to believe (and hope) that the line includes things for men! Discerning Brute pals Todd Oldham and John Bartlett are rumored to have consulted on the line. Full Article.